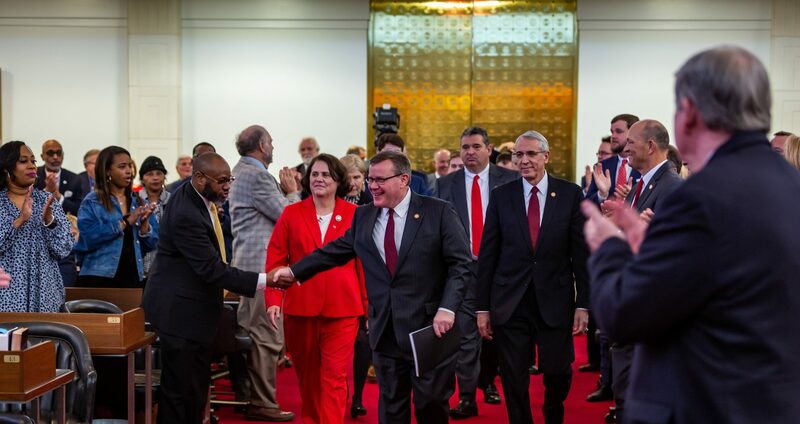 Raleigh, N.C. – Leaders of the North Carolina General Assembly urged legislative Democrats at a press conference on Saturday not to use the courts to prevent voters from enacting their will on popular constitutional amendments like voter ID. State House and Senate leaders spoke to reporters prior to both chambers taking up veto overrides of House Bill 3 Ballot Designations/Referenda and Senate Bill 3 Party Disclosure/2018 Judicial Races. The vetoes were issued by Gov. Roy Cooper to protect partisan scheming by judicial candidates switching party affiliations just days prior to filing and members of the Constitutional Amendments Publication Commission planning to impact voter opinions of what polls show are popular proposed amendments. Republican leaders predicted that Gov. Cooper and legislative Democrats would next ask the courts to prevent voters from weighing in on the constitutional amendments and protect attempts to split the vote with last-second party switching in judicial races. Leaders of both chambers said Democrats would try to accomplish in the courts what they could not achieve at the ballot box by asserting absurd legal theories and outlandish hypotheticals contrary to the true intent and impact of the amendments. “Because we will override these vetoes and because the constitutional amendments on the ballot this year are popular, we expect Democrats to try to convince an activist judge to try to prevent the amendments from appearing on the ballot at all,” said Senate President Pro Tempore Phil Berger (R-Rockingham). Democrat leaders have claimed the Judicial Vacancy Sunshine Amendment that provides a multi-branch appointment process to vacated court seats between elections would somehow remove the governor’s veto power completely. The baseless legal theory runs contrary to long-established law on local bills, redistricting bills, and appointments that are also not subject to the governor’s veto but do not remove his veto power over most legislation. They further claim an amendment establishing a bipartisan elections board would allow the state legislature to appoint cabinet secretaries in the governor’s administration, even though the amendment only affects boards and commissions and not executive agencies. House Bill 3 prevents political bias on the ballot by simply titling each proposed constitutional amendment a ‘Constitutional Amendment.’ The legislation was passed to prevent partisan attempts to mislabel the proposals by members of the commission, a prediction by Rep. David Lewis (R-Harnett) that was validated in working meeting of the panel this week. Secretary of State Elaine Marshall sent false assurances to General Assembly leaders last week promising “the Commission’s job is not to promote or oppose proposed amendments,” yet she and Attorney General Josh Stein then blasted the proposed Constitutional Amendments as “cat food” and “a pig in a poke” in a working meeting of the commission before going on the state’s premier political talk show ‘Capital Tonight’ to continue criticizing the proposals. 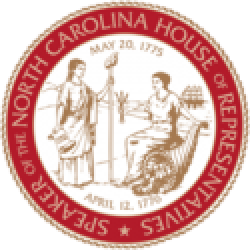 “Secretary Marshall put one thing in her letter, but our worst fears about the Constitutional Amendment Publication Commission have been confirmed by the behavior of Secretary Marshall and Attorney General Stein at their July 31 sideshow,” said Rep. David Lewis (R-Harnett). Lewis also said the Constitutional Amendments Publication Commission would still write long-form descriptions of the proposed amendments that are mailed to registered voters and available upon request. “Nothing we have done interferes with the duty of the commission to write descriptions of what these amendments do,” Lewis said. The Republican appointee to the three-member commission used drafters in the state’s nonpartisan Legislative Analysis Division to write his proposed descriptions. Senate Bill 3 was passed to conform judicial filing rules with all other public offices statewide after multiple candidates on both sides of the aisle switched parties just days prior to filing for court races. 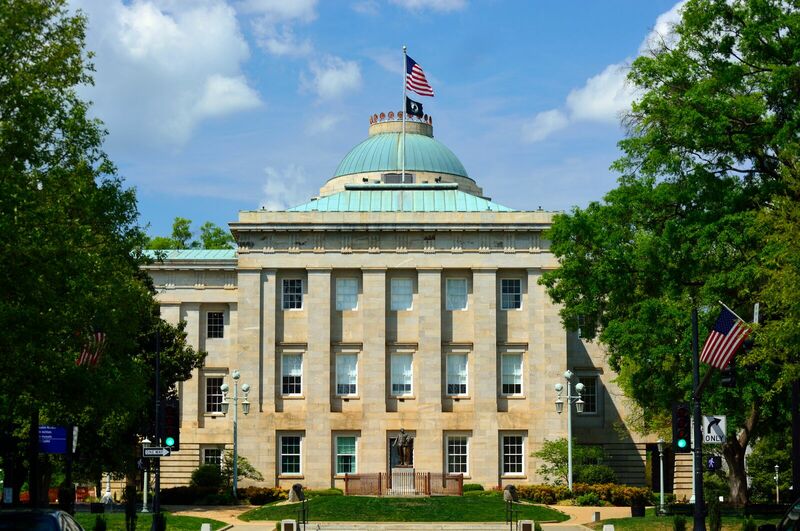 The legislation provides that judicial candidates may not switch their affiliation within 90 days of filing and appear as either their former or new party, consistent with election requirements for the state legislature, the U.S. Congress, gubernatorial, and local races in North Carolina. The clarification would affect four races in North Carolina, including three district court seats and one state supreme court seat. “This is not a particular one-race effect, this is both Republicans have switched parties and Democrats have switched parties during this time period and we feel strongly that there is a real difference between someone who has been a party and supports a party and someone who within 90 days has changed their registration,” said Sen. Ralph Hise (R-Mitchell). Sen. Hise also addressed the baseless theory that a judicial vacancy merit-selection process could somehow remove the governor’s veto power, noting the proposed constitutional amendment requires the appointments be narrowly tailored in accordance with sections of the state constitution detailing judicial appointments. “We have never seen any case where an exemption to the governor’s veto applied broadly to any bill,” Hise said. Rep. Lewis noted that legislative Democrats consistently turn to litigation to ask judges to overturn the will of the people in North Carolina.